Jim had several reasons to visit Colorado during 1982. In the early spring, he took his older son Brian out to visit the University of Colorado in Boulder as part of Brian’s college search. That summer and again in the fall, Jim was in the Rockies again, this time to tape segments for his television special John Denver and The Muppets: A Rocky Mountain Holiday. 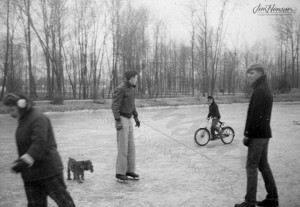 The December trip was for leisure – renting a house so that the family could come together for a ski vacation. Jim had not skied as a child but gamely took up the sport in the early 1970s as an activity he could share with his children. They generally skied in Vermont but sometimes tried other areas, including Canada and, at the invitation of Julie Andrews, Gstaad in Switzerland. With Brian attending the University of Colorado starting the fall of 1982 and Jim’s work in the area with John Denver, Aspen seemed like a good choice for the Hensons that Christmas. Learn more about Jim’s ski trips and his John Denver and The Muppets: A Rocky Mountain Holiday special. 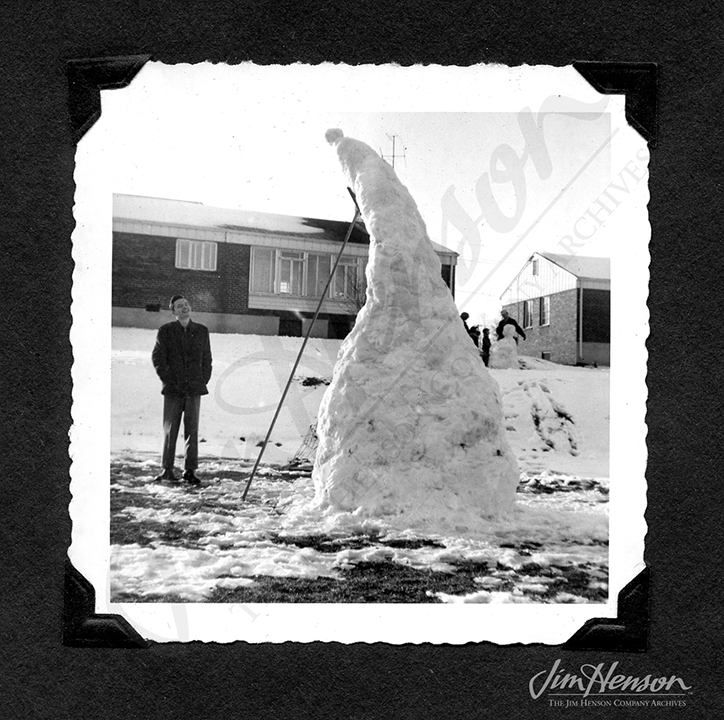 Before learning to ski, Jim used snow as an artistic medium. 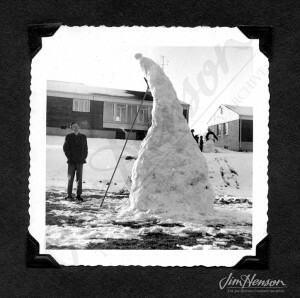 He built this snow structure with his brother Paul in the mid-1950s. 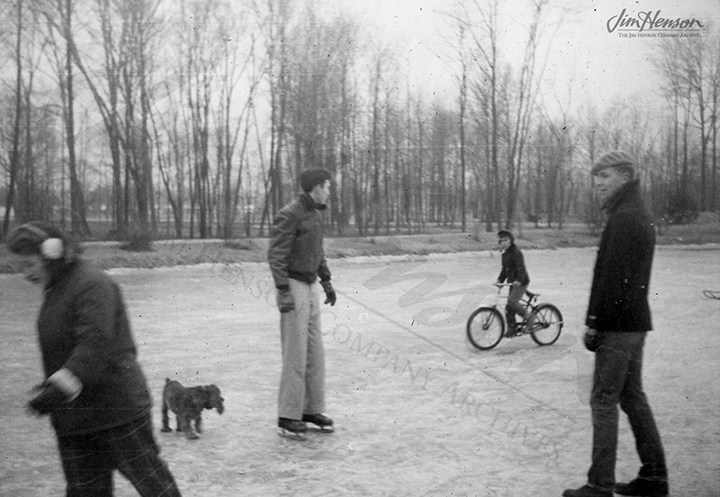 Jim didn’t start skiing until he had children, but he did enjoy ice skating as a teenager in the 1950s. This entry was posted in 12-December '82, 1982, Family and tagged Brian Henson, Colorado, John Denver. Bookmark the permalink.